HR Force EDV-Beratung GmbH, which was founded in 1999, is an Austrian Consulting company that specialises in project solutions in the area of human resources management based on SAP ERP HCM. With a team of approximately 79 highly qualified consultants, HR Force has developed into the largest SAP ERP HCM Consulting company, making it the country’s market leader in this area. institutions currently depend on the expertise of the specialists of HR Force. in the national and international environment with SAP. XIT-cross information technologies GmbH carries out projects in the area of SAP basic technology. The service spectrum ranges from individual consulting to operating and maintaining IT Infrastructure. at the companies scc EDV-Beratung AG and Plaut Austria GmbH. 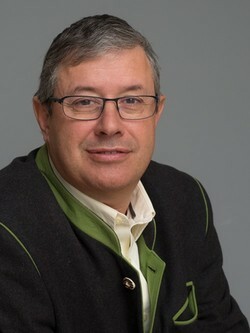 The person respon­sible for products for SAP HCM AT at SAP Österreich GmbH, Mr Michael Homole, was also a co-founder. This company line-up bundled together references, experience and employee resources into one form that until now has not been available on the Austrian market. Plaut AG, Salzburg sold the CEE subsidiaries (A, HU, CR, SK and PL) to IDS Scheer AG, Saarbrücken. Plaut Austria GmbH then turned into IDS Scheer Austria GmbH, which took over the shares of HR Force. 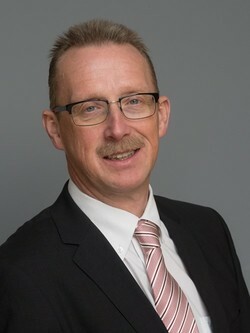 Mr Hawle (both General Managers at HR Force). 66% scc EDV-Beratung AG, 17% Mr Homole and 17% Mr Hawle. As an innovative Company, HR Force created a business field that deals with outsourcing services in the personnel area. complex assignments and to complete these quickly and with variety. Consulting is the main thing. Quality is a point of honour. Service is and remains service. Each new employee brings more knowledge to the company. Each new project gives us all more experience. Each new day brings new insights – and a greater advantage in terms of expertise. We are on the Ball. First-class consulting includes far more than mere technical expertise: Clients receive excellent advice from us, because we not only react promptly – but also think, plan and act proactively. Flexible methods, situational behaviour and quick perception are our strong points in dealing with new require­ments. We like to be Friendly. We treat each other in the same way in which we would like to be treated: Respect, reliability, fairness and trust in dealing with each other characterise our contact with colleagues and clients. We do not pursue any trends, we set standards. We find the best solutions, because we know the difference between a highway and a dead end. And because we know what precedes each outstanding service: We have the desire and the make effort to achieve something outstanding. We develop our own tools and solutions that are attuned specifically to the requirements of our clients to offer them perfect turnkey solutions. Flexible methods, situational behaviour and quick perception are our strong points when it comes to development, implementation and service. Of course, it is about pleasing our clients, but that in itself does not suffice. We also want to meet our own quality standards: We have a first-class education, we work with the best technology with a highly competent team on complex requirements in a quickly changing world. We're searching for the best solution every day. We are our own biggest motivators: We don't just do our job, we li(o)ve our work!